Cute blazer! 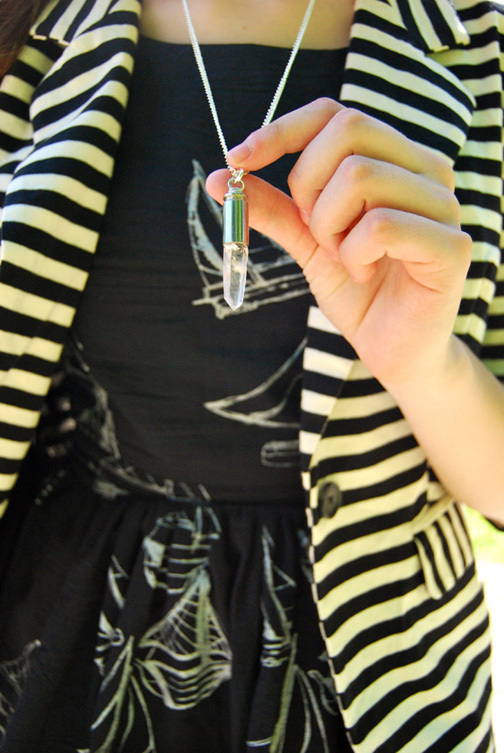 I'm your newest follower on bloglovin'! CUTE dress and love the red shoes with it! You're such a pretty girl....keep up the good work! ahhh i want that dress! i loveeee me some sailor prints! reminds me of being in my sperry's on a boat out in the sea. 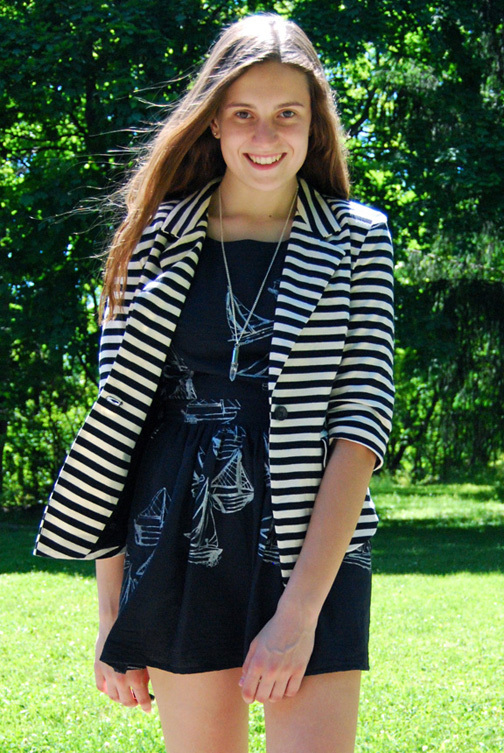 the anchor print and that adorable striped blazer are incredible! Hey!! thanks so so much for stopping by my blog and becoming a follower, it means a lot to me!! I am loving this little look here ... great blazer and the print on that dress is just perfect!!! hey rory!! im exactly the same with boats haha. i tried to learn sail boating but i got stressed and pretty much failed miserably. i WAS only 15 though so maybe it wouldn't be so bad now! i love the dress, really shows off your beautiful legs!!! Ooooooooh, I am SO in love with this cute dress Rory! The boat print on it and cut out back have won my heart. Haha, way to add to the nautical theme with a striped blazer. So cute! And sounds like the kind of boat I'd want....lol sailing would be a whole different thing. Get your tan on! Haha, lifeguarding is the perfect summer job :) Hope your friend gets better quick! That dress is SOOO cute!! I need to get me such a blazer! Love it!! This outfit is utter perfection. Sailboats AND stripes? I think YES!